Is Diamond the Best Conductor of Heat? Diamond and its carbon cousins, graphite and graphene, have long been known to be by far the best heat conductors, with room temperature thermal conductivities (k of over 2000Wm-1K-1. Other high k materials such as copper and silver have significantly lower values (k=400 Wm-1K-1). In spite of well-defined criteria to guide the search for new high k materials, little progress has been made over the years. In this talk, I will describe a new paradigm for achieving high k that we have recently proposed. New criteria are introduced, which stem from fundamental vibrational properties that occur in compounds where the constituent atoms have a large mass ratio. The lattice thermal conductivities of candidate materials have been calculated using a first principles theoretical approach that combines an exact numerical solution of the Boltzmann transport equation for phonons with accurate determination of the harmonic and anharmonic interatomic forces from density functional theory. Excellent agreement with measured thermal conductivity data has been obtained for a wide range of materials, validating the predictive capability of the theory and contributing insight into the nature of phonon thermal transport in materials. Guided by the new paradigm, we have identified one material, cubic boron arsenide, that should have an exceptionally high room temperature k comparable to the highest known bulk value achieved in diamond. This finding opens opportunities for controlling phonon thermal transport, which may facilitate the design of new high k materials for thermal management applications. 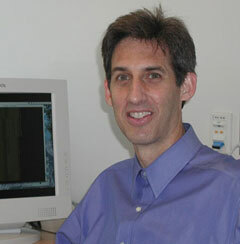 David Broido is currently a Professor of Physics at Boston College. He received his Ph.D. degree in Theoretical Physics from the University of California at San Diego in 1985. He was a National Research Council Postdoctoral Fellow at the U.S. Naval Research Laboratory before coming to Boston College in 1987, where he has been ever since. He is a Fellow of the American Physical Society. His research interests include theoretical studies of thermal and thermoelectric transport properties of materials using first principles approaches.